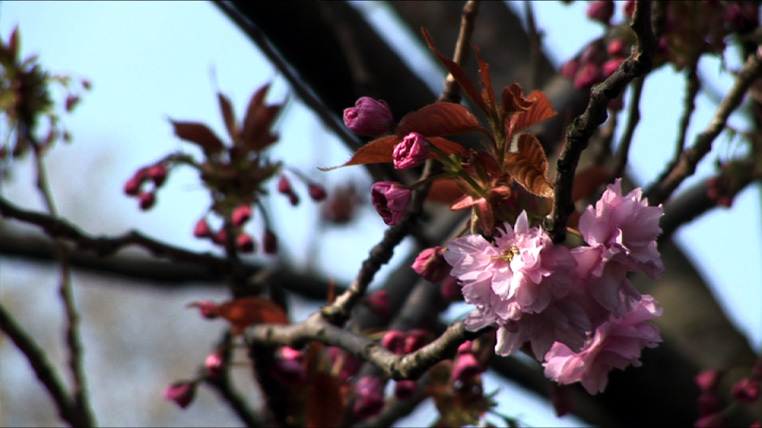 Picture of the floating world is a film that explores the idea of the passing moment, a filmic ‘ukiyo-e’. 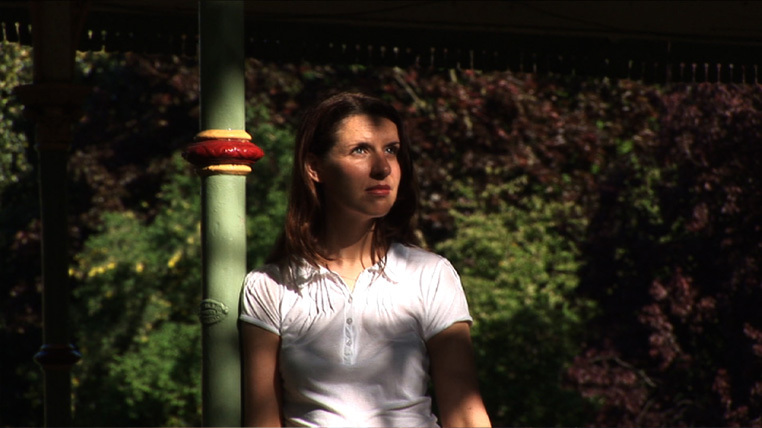 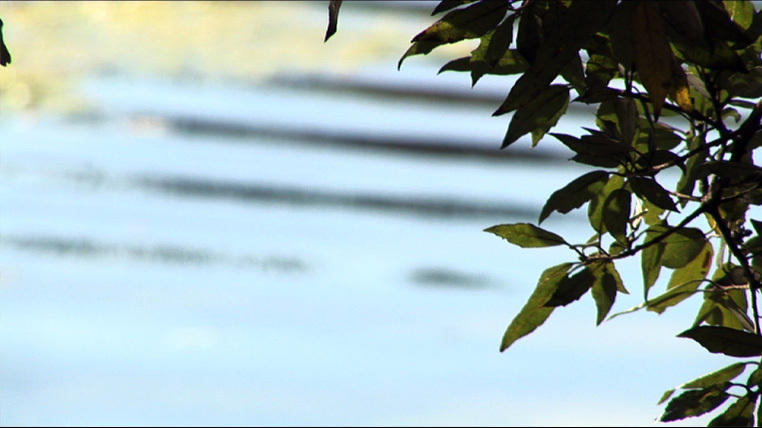 In Picture of the floating world‚ a city park is seen through a sequence of still shots, empty seats, unopened flowers, motionless birds, before a woman is seen waiting at the edge of a boathouse. 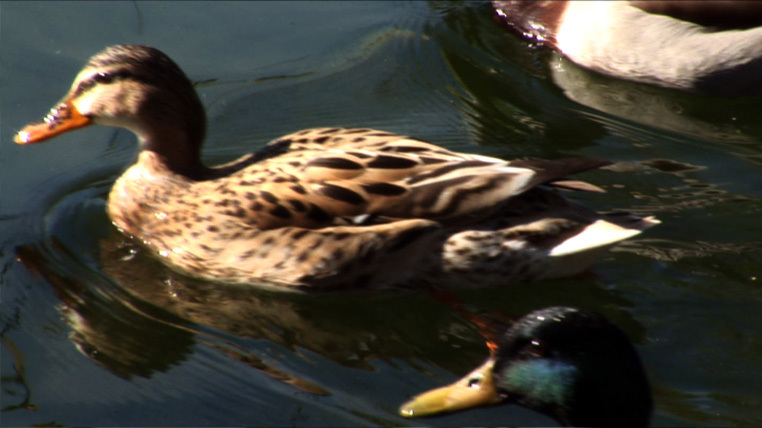 She looks down motionless at the pond water where the currents are forming ripples on the surface of the water. 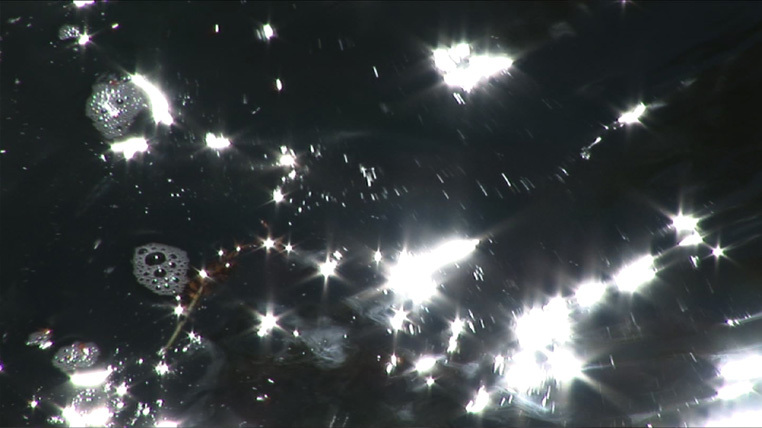 A close up shot shows the bubbles coalescing to form a tiny solar system spinning in the water. 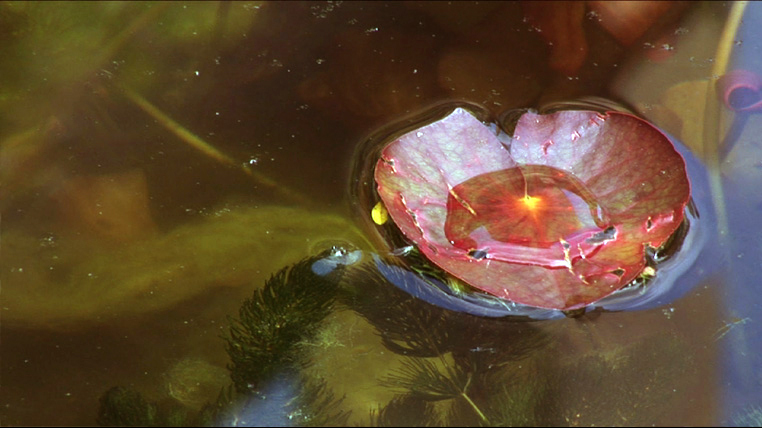 A rupture occurs within the seeming reality of the cinematic suspense. 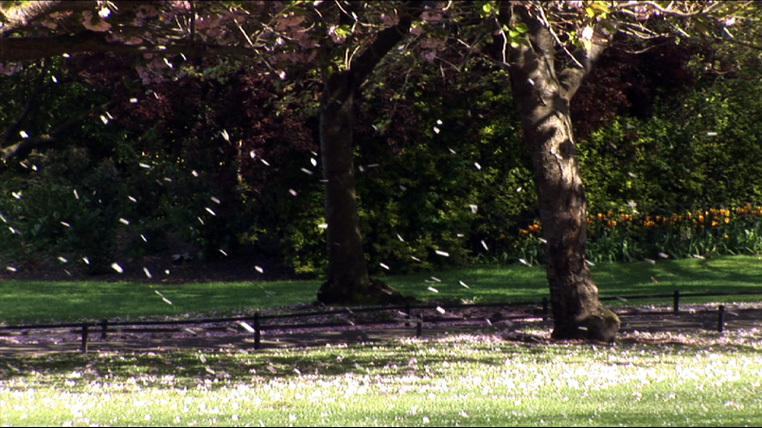 Simultaneously the scene changes from stillness to motion; a burst of petals floats down from a cherry blossom tree, ducks break into sudden activity on the pond.